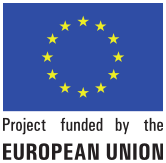 After accurate field survey and questionnaire recordings, farmers to benefit from ACCBAT project activities implementation in Jordan have been selected. 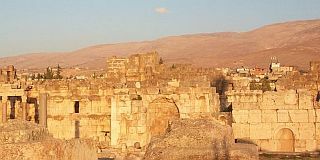 Specifically, up to date there are five farmers from Ramtha area, nine from Salt area and eight from Madaba area. In Salt area, nine (9) farmers expressed their interest. All farms are located in Wadi Shueib, which is down the valley at the outlet of Salt Wastewater Treatment Plant (WWTP), on very steep slopes. On average, farm size is around 10-20du. 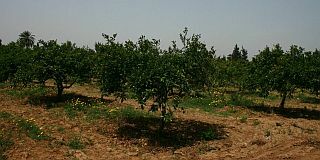 Cultivated crops are mainly fruit trees (olive, lemon, grape and stone fruits). Irrigation is by gravity surface runoff. In some cases, wastewater is being already used mixed with fresh water. It is here highlighted that due to legal and perhaps physical constraints, it is not possible to build water ponds. However, water flow from WWTP is constant. Also, it should be noted that some farms do not have access to electricity, and they rely on gravity only for irrigation. The solution proposed is to install closed water tanks in the highest point within farm boundaries and equip the farm with a gravity drip irrigation system where electricity is not necessary. In Ramtha area, five (5) farmers expressed their interest to have efficient irrigation equipment installed in their seven (7) farms. All farms are located near Ramtha WWTP. On average, farm size is around 50-100du. Cultivated crops are mainly forages (berseem clover, barley, maize). Irrigation is by surface runoff. Wastewater is pumped from the WWTP directly to the farm twice a week. It is also reported that in summer cultivated area is nearly half of total available due to water shortages. Also, it is highlighted that no farm has access to electricity. The solution proposed is to build water storage facility in each farm in order to have a better control on irrigation scheduling and to equip the irrigation systems with pumps that do not require the connection to the grid (i.e. : diesel, stand-alone photo-voltaic pumps). In Madaba area, eight (8) farmers expressed their interest. All farms are located in the surroundings of Madaba WWTP. On average, farm size is around 20-50du. 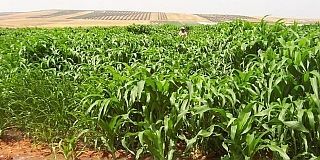 Cultivated crops are mainly forages (holland grass, sorghum, sudan grass, alfalfa). Irrigation is by surface runoff. Wastewater is pumped from the WWTP directly to the farm, on a daily basis. No farm has access to electricity. The solution proposed is to build water storage facility in each farm in order to have a better control on irrigation scheduling and to equip the irrigation systems with pumps that do not require the connection to the grid (i.e. : diesel, stand-alone photovoltaic pumps).